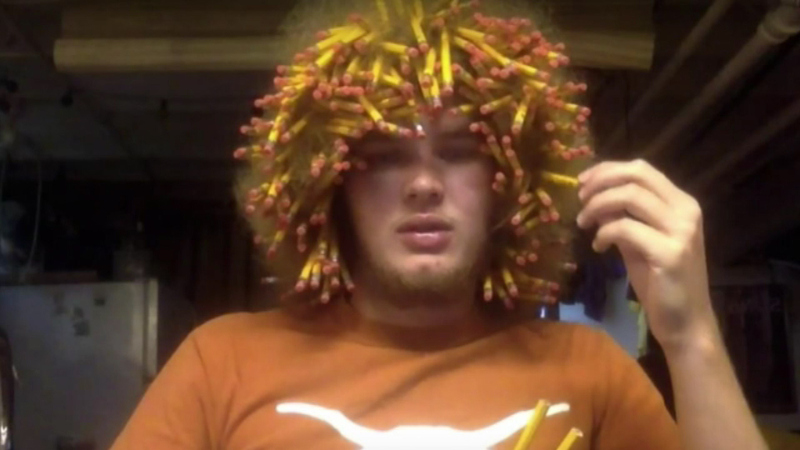 CHICAGO (WLS) -- Derek Harmes is going for the record of sticking the most pencils into his hair. He collected 18 boxes of unsharpened No. 2 pencils and got to work decorating his giant mane.